This huge vacation home is ideal for any group that is in need of space and appreciates all the comforts of home. 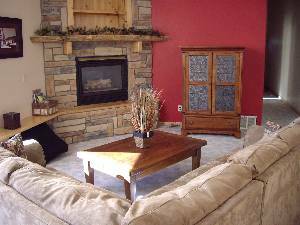 The main first floor has a gas fireplace, TV, DVD player and large sectional couch inthe living area. 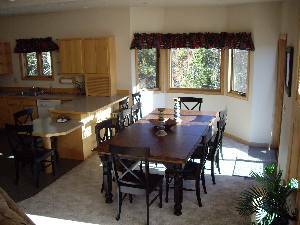 The open floor allows for easy access to the dining area with a large 8 person table in front of the sliding glass doors which lead to the large deck and provides an unbeatable view of Byers Peak and Sheep Mountain. 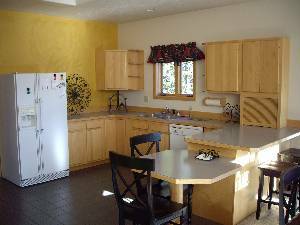 The fully equipped kitchen has vaulted ceilings and updated appliances. Additoinal seating is available at the breakfast bar. 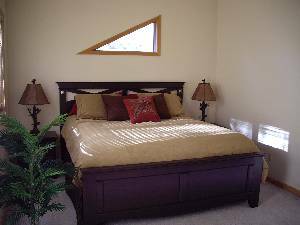 This main floor has the master bedroom - attached 3/4 bathroom and king bed. The second bedroom also has a king bed and shared bathroom. The entrance from the garage has a huge walk-in closet for storage of skis, boots, shoes, coats or any other luggage. The full size washer and dryer are tucked into a small room off the hallway. Two bedrooms, each with king-sized bed are on this level, one with en-suite 3/4 bath, plus a separate full bathroom. 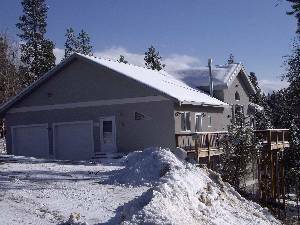 A washer & dryer, plus spacious walk-in ski clothes & boot closet are also available. The finished basement 3 bedrooms, a full bathroom, plus a variety of entertainment options for the whole family. The bedrooms are configured as follows: one queen-size bed, two twins, and a set of Captains bunks, plus queen sleeper-sofa. 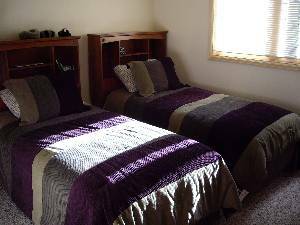 Downstairs has the capacity to comfortably sleep up to 9 people. 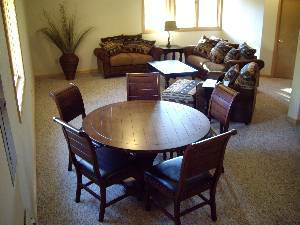 The downstairs room has ping-pong, foozball, or a large-screen TV to watch cable television or a DVD. The JHawk house promises to be a true family favorite and the answer to keeping the kids amused at night! We do recommend that guests have their own means of transportation, because the home is no located on the free town shuttle. A short 5½ mile drive from the Ski Area, and 3½ miles to downtown Winter Park. Simply Amazing !!!! We had originally plan to stay for 7 days and like this place so much that we were able to extend our stay for 11 days. Very spacious and cozy the house has areas for the entire family. We will definatly hoping on availibilty try tho make this trip every year. All rates do not include 14% sales tax. For all stay during the summer and fall seasons, stay for 3 nights and get the 4th night free. For the remainder of the year, stay for 4 nights and get the 5th night free! Deposit: One night's deposit is due 10 days after date of booking. The final payment is due 30 days prior to arrival date. Cancellations and Refunds: Any monies, once received, are non refundable without the purchase of cancellation insurance.